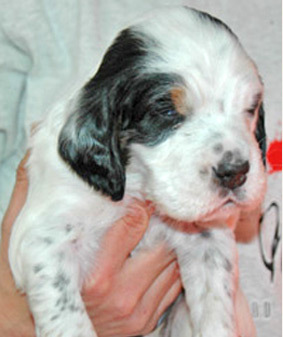 A DeCoverly English Setter is a high quality investment that will bring its owner many years of enjoyment, both in the field and at home. The quality of our Setters stems from the standards we adhere to and the full-time, professional nature of our operation. We have made significant investments in our facilities, our breeding program, the health of our line, and in our customer service and guarantees. We extend the provision on infectious diseases to two weeks. Additionally, any untrained dog may be returned for a full refund within 30 days for any reason whatsoever.